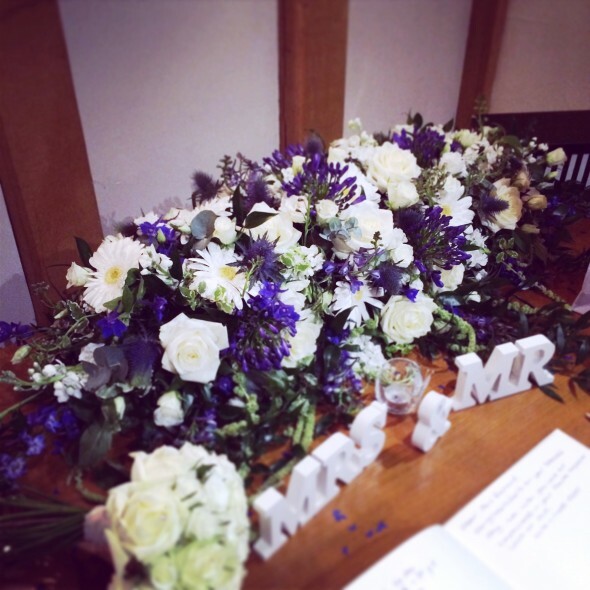 Wedding Flowers that ‘blue’ us away! We loved working with a different colour scheme for this wedding, rather than traditional girlie pinks and purples. Cream, white and blue work very well together and can be very striking, depending on the look you want to go for. The gorgeous Crabb’s Barn with it wooden beams was a wonderful setting for our sophisticated style. 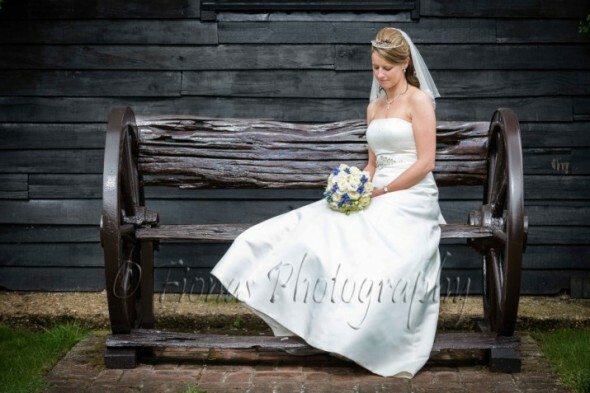 In fact, we have seen increasing numbers of brides using a shade of blue as a key colour. Whether it is a rich midnight blue for a very elegant look, soft powder blues for a vintage feel or sea inspired blues for a beach theme. The only difficulty is the lack of choice as there are very few true blue blooms. We would not recommend dying your flowers as the tiniest drop of rain could put an unwelcomed blue stain on your beautiful dress! So, if you fancy going blue for your wedding, pop in to the shop and have a consultation with us. We will let you know exactly what is in season for your wedding day.